What is The Last Story, you ask? We actually don’t know, and probably won’t know, until Nintendo makes some sort of announcement. 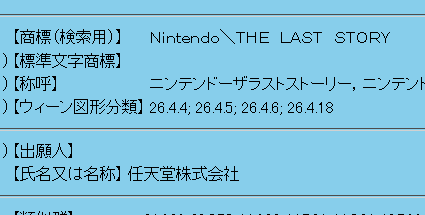 Interestingly, practically all trademarks registered by Nintendo in Japan are almost always in Japanese. However, Glory of Hercules was one of the few instances in which the trademark was registered in English. 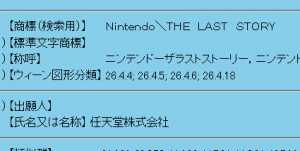 Perhaps Nintendo will be looking to release The Last Story internationally, similar to Glory of Hercules.